The Great Master, Morihei Ueshiba, founder of Aikido, was born in Tanabe City, Wakayama Prefecture, Honshu, Japan, on December 14, 1883. He started the study of the Nine Chinese Classics under Priest Mitsujo Fujimoto of Jizoji Temple, Shingon Sect Buddhism, at the age of seven. At the age of ten, he studied Zen Buddhism at the Homanji Temple. Blessed with an extraordinary intellect and undying effort by nature, he would come to master numerous martial arts and create one of the most integrated martial arts of our time, Aikido. Despite his concentrated efforts and study of Zen, O'Sensei (Great Teacher), looked weak and his short stature added to his frail appearance. But his spirit was strong and his ambitions quite different from that of the other youths his age. When he was about twelve years of age, his father, Yoruku, a member of the town council, was roughed up by blackguards. They were the enforcers of his father’s political opponents. This continued quite frequently thereafter, said the Master. From that point on he swore to become as powerful as he could, to avenge his father’s beatings. Over the years, he studied Kito-Ryu Jujitsu, Shinkage-Ryu, and Daito-Ryu Aikijutsu. Once, during his training, he contracted beriberi and had to return home. In recovering, he began to walk for miles, then running and weightlifting. He was not yet satisfied despite the tremendous strength he acquired, and he began to study Yagyu-Ryu fencing, Aioi-Ryu, and Hozoin-Ryu Jujitsu, Judo, Kenjitsu, Kendo, bayonet and knife fighting arts, even modem gymnastics. He wandered from town to town seeking various teachers, eventually covering many of the territories of Japan, India, China, and other areas of Asia. He virtually practiced all the existing martial arts. The Master was always full of vigor and possessed an unyielding spirit. Whatever others did, he would do four times as much. He was only five feet one inch tall, but built like a tank, weighing almost two hundred pounds. His former weak body became a powerhouse of muscles. With only a wooden sword, he traversed Japan and, upon discovering one superior to him, stayed as a student and trained until he learned all that he could learn, then continued his journey. He became the most proficient martial artist in all of Japan. In 1911, in Hokkaido, he met Master Sokaku Takeda of the Daito-Ryu school of Jujitsu and became his student. Daito-Ryu has a long tradition; it was originated by Prince Sadazumi, the sixth prince of Emperor Seiwa of the Ninth Century, and has been in constant development up to the present. Master Sokaku Takeda was a man of short stature like Master Ueshiba, but of violent spirits and very severe with his students. Nevertheless, Master Ueshiba had a reverent respect for him, including cooking for him and bathing him. The Master built a house for him and concentrated all his energies on his studies. Five years after his introduction to Master Takeda, he received the precious certificate (Menkyo-Kaiden), signifying his mastery of all the studies. In 1918, the Master received a message telling him of his fathers grave condition from an illness. He gave all of his worldly belongings and property to Master Takeda and left Hokkaido. On his journey home, he happened to hear of Reverend Wanisaburo Deguchi of the Omoto Kyo religion. The desire for his father's recovery was reason enough to change course to Ayabe, Kyoto where the Omoto Kyo headquarters was located, and to ask for prayers for the recovery of his father. After listening to the prayers of the priest, he became awestruck by his profound insight. But, after arriving home, he learned that his father had passed away. At that point, his life took a great change. He became almost fanatical in his meditation and quest for enlightenment. Then one day in the spring of 1925, as he took a stroll in his garden, he felt as though the universe suddenly quaked and that a golden spirit sprang up from the ground, veiled his body and changed it into a golden one. At the same time, his mind and body became light, and he was able to understand the chirping of the birds, and was aware of the imminent spirit of the Supreme. He had become enlightened. He realized that the source of all martial arts is God's love, the spirit of loving protection for all beings. This revelation may have been only one of many, but was the first such experience since his birth, thus revolutionizing his life and giving birth to Aikido. From that time, he asserted: "It is the way of budo to make the heart of the universe our own and perform the mission of loving and protecting all beings with a grand spirit. The techniques of budo are only a means to reach that end." 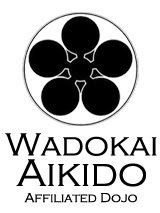 That is, the Master, having thoroughly studied budo and acquired its essence through his struggle, first set up a goal of spiritual guidance above all, and then fused the techniques of Aiki (Aikido) into the stream of spirit, spirit power or soul power. He gave life to the highly technical and spiritual side of Japanese budo within the society of man. The Master is the first one who ever indicated clearly the world of Aiki and revealed its aim. From that moment on, he extended the study of Aikido to everyone. It became very popular and spread throughout Japan and, by 1960, the rest of the world. 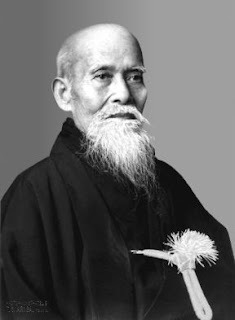 Master Ueshiba founded and remained leader of Aikido's international organization, the World Aikido Federation until his death on April 26, 1969. He was 86 years old.